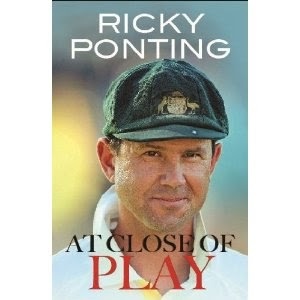 Ponting-unarguably one of cricket's greats-looksback on his remarkable life and career in this tell-all autobiography. With his customary honesty and candour, Ricky Ponting reflects on a lifetime at the crease - from childhood prodigy to the highs and lows of his extraordinary international career. But beyond the triumphs, scandals and his own privatestruggle to maintain his later form, this remarkable book offer srare insights into an elite sporting career with Ricky's reflection son leadership, captaincy, winning, defeat, competitiveness, teamwork, the greats of the game and the lessons learned at the helm of Australia's cricket team. Ricky Ponting was Australia's cricket captain for years and is well-known to fans of the game. He made his ODI debut in 1995, but lost his place in the team several times over the years because of his lack of form and discipline. However, he fought back and is now one of only four batsmen in history to have scored 13,000 test runs.